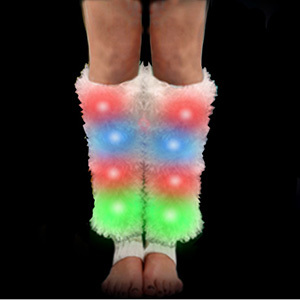 Lighted Fluffies are a fun fashion accessory for any event. The multicolor LED's will brighten the room and will stay light for 12 plus hours in 3 flashing modes. The Fluffies are 14 inches high and 5.5 inches wide. Powered by 2 CR2016 batteries which are included and replaceable.